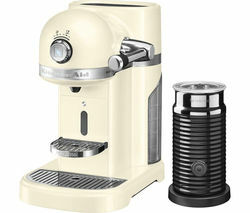 Enjoy the coffee quality of Nespresso with the design of the KitchenAid Artisan Nespresso Hot Drinks Machine with Aeroccino 3 in a classic almond cream.Quick coffee fixWith an impressive heat-up time of a mere 30 seconds, you'll be able to adjust the machine to one of the six variable strength and volume settings to suit your taste buds.Boasting a powerful 19-bar thermoblock system, the Artisan Nespresso Hot Drinks Machine delivers premium coffee, always at the optimum temperature.Nespresso capsule systemThe 5KES0504BAC Artisan Nespresso uses widely available and sustainably sourced Nespresso coffee pods.The ever-growing Nespresso collection offers 24 different varieties, incorporating intense and full-bodied flavours suitable for ristretto's to frothy cappuccino's. 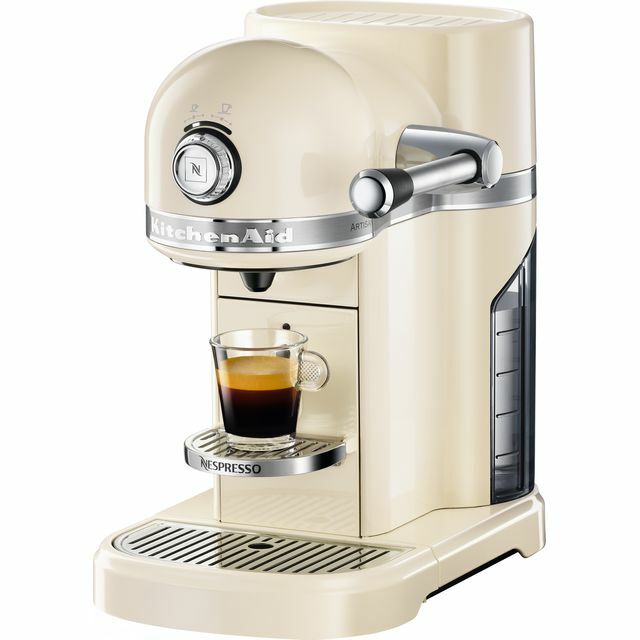 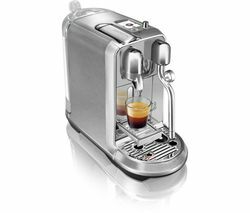 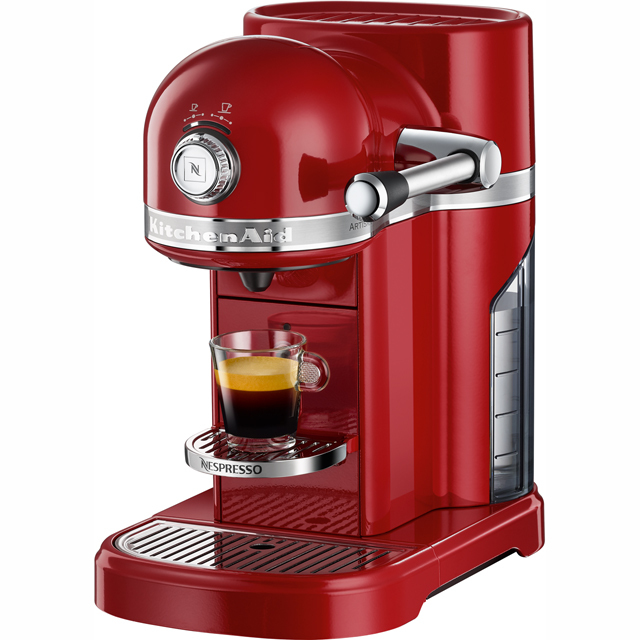 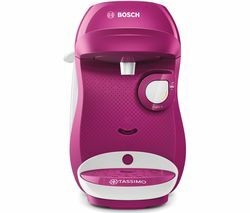 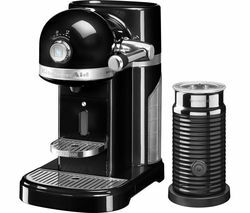 Nespresso pods are specially designed to preserve aroma and contain only the finest quality, freshly ground beans.Fancy featuresMade from sturdy die-cast metal, the machine is both stable and simple to clean, keeping maintenance to a minimum. 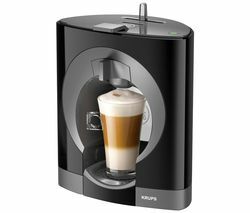 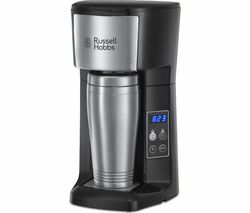 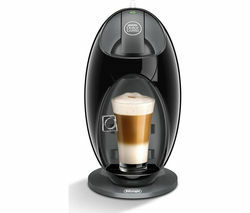 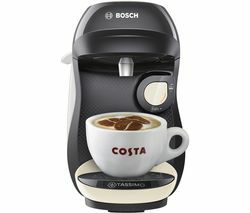 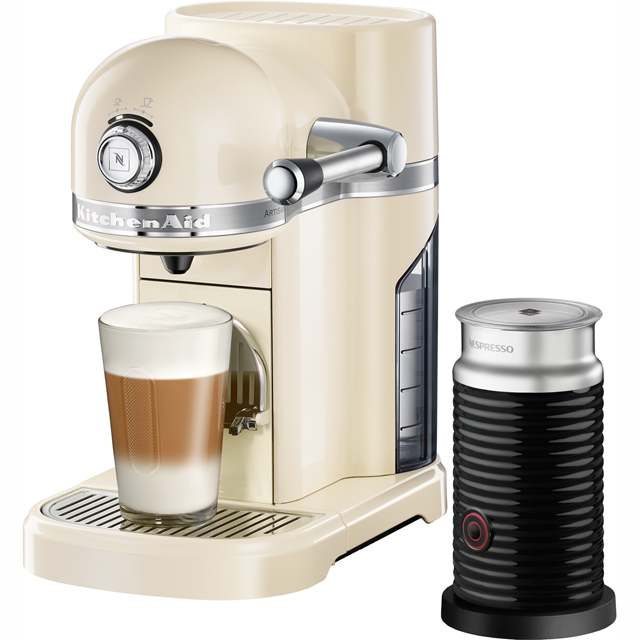 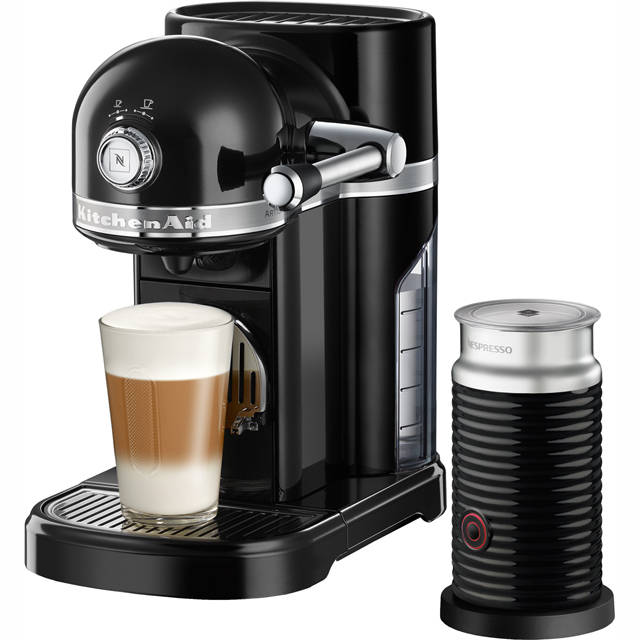 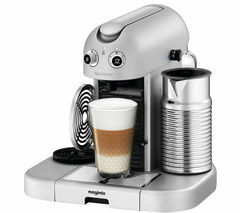 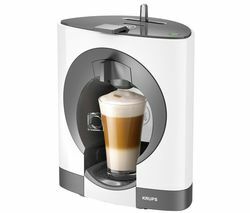 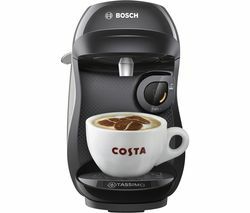 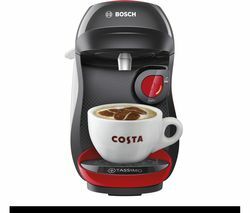 With a descaling programme ready to work at the touch of a button, you can keep it in optimum working order.Complete with an Aeroccino 3 milk frother to make the perfect cappuccino, you'll be able to create hot or cold froth at the touch of a button.Enjoy Nespresso coffee in an instant with the KitchenAid Artisan Nespresso Hot Drinks Machine with Aeroccino 3.